Our team are the powerhouse of TERN Ecosystem Surveillance and the AusPlots program, and whether in the office or the field they're united by their commitment to delivering high quality products that enable better understanding and management of Australia's ecosystems. Ben considers himself privileged to lead such a multi-disciplinary and passionate team. He is passionate about enabling the team to deliver the best ecosystem science infrastructure available to meet Australia’s environmental surveillance monitoring needs. Previously Ben has held numerous positions including selling and analysing imagery, conducting and leading biological surveys and conducting extensive vegetation mapping in South Australia and the Northern Territory. More recently Ben held the position of Principal Scientist – Land resources, and Managed the Land Resources section of the NT Government for the southern Territory. Ben is keen to create a national surveillance monitoring program for Australia that is scientifically sound, pragmatic, practical, and that can be implemented operationally. 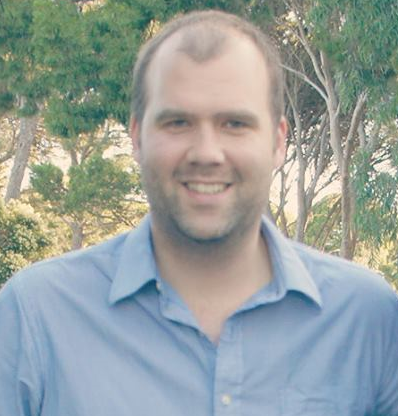 Ben holds an Honours degree in Natural Resource Management from the University of Adelaide, and is nearing the completion of his PhD investigating the benefits of integrating spatial information more intimately with ecology for improved management outcomes. Andrew looks after the development and ongoing maintenance of the AusPlots data delivery infrastructure. He has extensive Research and Development experience, having worked for 12 years in Europe (France and The Netherlands) in EU collaborative research projects and as an industrial researcher at Philips Research, Eindhoven. AusPlots’ activities around collecting, managing and publishing ecosystem science field data resonate strongly with his desire to contribute towards further understanding of environmental change. In the past, Andrew has applied his effort towards diverse topics ranging from collaborative virtual laboratories, cyber-security and ambient intelligent environments through to MPEG-21 Event Reporting Standardisation. He holds a PhD in Computer Systems Engineering (1998) and a Master of Business Administration (2012). Andrew is co-author of six EU patents and has authored numerous articles documenting the engineering of first-of-a-kind technical systems. He is interested in the intersection of technology, innovation and emerging business and has been active in a number of start-ups. Caleb is the Business Manager for TERN Surveillance and has enjoyed supporting the team for almost 10 years after moving to Adelaide, South Australia from Newfoundland, Canada. Currently, he supports the Program with business and financial management to ensure timely reporting and maintains effective relationships with key collaborating institutions, including key contacts within the University of Adelaide. Caleb graduated from the University of Newfoundland with a Bachelor of Business Administration. Christina has a dual role incorporating both data management and field work. Christina’s role as data manager assures integrity of data as it is collected and curated for TERN’s data delivery infrastructure. Christina is also part of the field team that has established over 600 long term monitoring plots across the rangelands of Australia. Plant, soil, genetic and photographic material collected is increasingly attracting requests for use by researchers. This collection and its associated data are maintained by Christina and the Field Survey Team. Christina has a degree in Natural Resource Management and Post Grad studies in IT and wildlife Management. She brings to TERN knowledge in developing and maintaining databases for Zoos SA’s species management initiatives and experience in the field as a mammal specialist on biodiversity surveys for State Government Agencies. This experience has given her a great appreciation of the entire process of collecting accurate and relevant data in the field and seeing it through to publication. Emrys studied at the University of Adelaide and has a passion for arid flora. He has worked extensively in the arid and semi-arid zone across Australia. Emrys is interested in understanding how landscape processes including fire, grazing and invasive species affect vegetation communities. 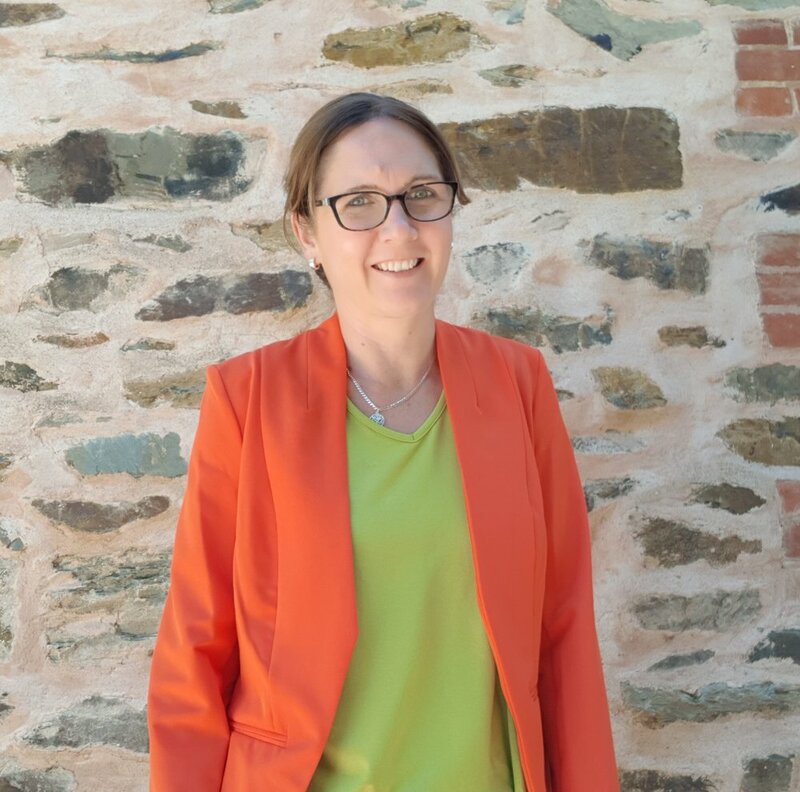 Emrys has a broad range of skills and experience and is a firm believer in the intuitive responses that come from on-ground experience and from working closely with local land managers. Greg is a postdoctoral researcher working in the areas of community and macro ecology. Current research themes involve: 1) integrating data from different sources and at different scales to map regional biodiversity metrics and their environmental and biogeographic context; 2) transects, environmental gradients and climate change ecology. 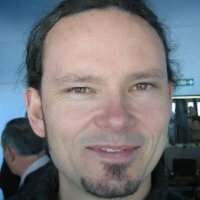 Greg has a PhD from the University of Adelaide in systematic botany and previous experience as a botanical consultant, technical botanist and environmental officer/ecologist in South Australia and Western Australia. More information is available here. Luke provides the grunt work by implementing his soil collection and characterisation skills for the Ecological Surveillance field team as well as providing additional assistance with vegetation surveys. He has spent time in South Africa undertaking ecological surveys of its unique flora and fauna, including in the biologically diverse fynbos of the cape floristic region in the Western Cape. Luke is a member of the Biological Society of South Australia and apart from all things soil, he enjoys a spot of birdwatching. Luke has Bachelor of Science (Animal Behaviour) from Flinders University. Michael started with TERN Ecosystem Surveillance in 2018. As Scientific Officer for TERN, Sally is involved in coordinating and contributing to science projects, developing new survey protocols, and liaising with researchers using TERN plant and tissue specimens and soil samples. Sally is in-charge of coordinating permits and licenses required to undertake field work and move specimens and samples across the country and globe. Sally is an ecologist with a diverse range of practical skills and experiences, with a passion for monitoring populations. She initially joined the team to develop a fauna survey protocol for AusPlots as part of the National Environmental Research Program (NERP) 'Enhancing long-term surveillance monitoring across Australia' programme. Tom is a software developer/solution architect. Being part of a small development team, he wears many hats to cover everything from initial idea to a completed, running system. He gathers requirements, designs, builds and operates a number of web applications. The systems service many communities: researchers, agricultural industries, citizen scientists and our own internal clients. In the past, Tom graduated from Flinders University to work for Centrelink in their data matching area. More recently he has worked for e-Research SA (eRSA) maintaining their internal billing systems. He enjoys working with, and supporting the Australian research community and loves coming to work everyday to build things that make a difference. identify approaches that enhance connections between the AusPlots and potential collaborators and partners, both in Australia and overseas. AusPlots Advisory Group: Peter Lyon (Left), Alex Kutt, Glenda Wardle, Stephen van Leeuwen, Ben Sparrow. Absent: Teresa Eyre. David is a Professor of Global Change Biology at the University of Tasmania. David's interests are broad and span from fire ecology to rainforest boundaries to wildlife management. A unifying theme for most of his projects is biogeography, hence his passion for trying to understand the macro-scale drivers of tree growth across Australia. David has assembled a dataset of millions of tree measurements across the Australia to develop robust models of the relationships between climate and tree growth. Drawing on this work, David conceived and is overseeing the establishment of the AusPlots Forests Project. David hopes that over time, the AusPlots Forests data can be used to shed light on the ecological processes beyond tree growth, including tree mortality and recruitment and is keen to incorporate observations from the plot network in intercontinental projects investigating global forest ecology. Ian was the AusPlots Program Manager up until 30 June 2016. Although now officially retired, Ian is still very much part of the team, and will continue to support our program as an affiliate. Ian holds a degree in protected area management from University of Queensland and completed post graduate studies in GIS and remote sensing at Charles Sturt University. He believes that effective work outcomes result from nurturing cohesive teams. He is motivated by the fundamental role of science as the foundation for natural resource policy and management. He has worked for non-government conservation organisations; worked as a Senior Botanist for the Queensland Herbarium mapping savanna ecosystems; managed rangelands monitoring teams and was Director of natural resource science and management in the southern Northern Territory. 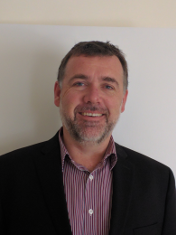 Ian is active in community organisations and believes that practical environmental outcomes need partnerships built on understanding and respect. Rick was the AusPlots Field Survey Officer specializing in soil science up until 30 June 2016. Although now officially retired, Rick is still very much part of the team, and will remain as affiliate continuing to analyse soil samples until the end of 2016. Rick gained his degree from Central Queensland University in Environmental Science. He has worked in Queensland carrying out Property Map of Assessable Vegetation surveys for subdivision applicants, as well as being a long term volunteer with Landcare. Rick moved to Alice Springs and worked for the Department of Natural Resources, the Environment, the Arts and Sports (NRETAS). He joined the TERN AusPlots team in 2011 to carry out the soil survey component of the project. When not in the field sitting in a hole in the ground gathering soil samples, he is usually found in the soil lab processing the soil samples and sending them on to the CSIRO soil archive in Canberra, as well as maintaining the vehicles and equipment for further field surveys. Rick feels that the AusPlots project is not really a job, but more a way of life with long-term monitoring to help maintain and control environmental issues as they may arise in the future. Sam Wood is a forest ecologist based at the University of Tasmania. Sam has a background in forestry research and completed his PhD on the fascinating vegetation mosaics of the southwest Tasmanian wilderness. Since that time, Sam has been busily establishing 48 large long-term monitoring plots in the Tall Eucalypt Forests of Australia as part of the AusPlots Forests Project. Sam has been particularly inspired by a series of continental scale forest monitoring projects in the Amazon, the African Tropics and Western USA that have contributed to our understanding of the role of forests in the global carbon cycle and is keen to contextualise the role of the Australian eucalypt forests in these macro-scale global networks through AusPlots Forests. Sam considers himself very lucky to have the opportunity to visit and work in the majestic tall eucalypt forests from the Karri of southwestern Western Australia, to the Rose Gum forests of Far North Queensland to the tallest flowering trees in the world - the Mountain Ash forests of Victoria and Tasmania. Elinor studied at the University of Tasmania and has a keen interest in the broad-scale patterns and processes of landscape ecology. 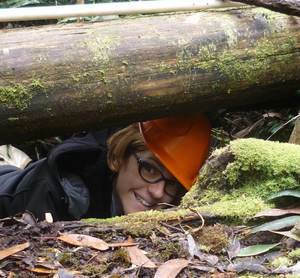 She feels fortunate to have conducted fuel surveys at the 48 Tall Eucalypt Forest sites. The output of months of scratching around in the leaf litter includes volume, mass and moisture content measurements of fuel and groundcover across the sites. The program also included the installation of climate data loggers, litterfall traps and over 1000 litter decomposition bags to elucidate continental-scale patterns in fuel accumulation and decomposition. Elinor is particularly driven by the desire to undertake research that increases the efficacy of landscape management. Finn joined the AusPlots and Transects team in 2014 with an education grounded in geology, ecology and spatial science from The University of Adelaide. In the field we often found Finn in a pit characterising the soil profile, but also helping the team out wherever he was needed. Finn was a valued team member contributing to site establishment in the Kimberleys, Pilliga, Nullarbor, Coastal Heathlands and Stirling Ranges.